Loving husband of Marion for 56 years, died peacefully on 20th March 2019. 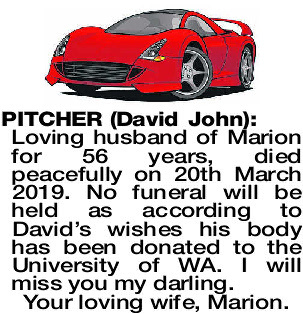 No funeral will be held as according to David's wishes his body has been donated to the University of WA. I will miss you my darling.